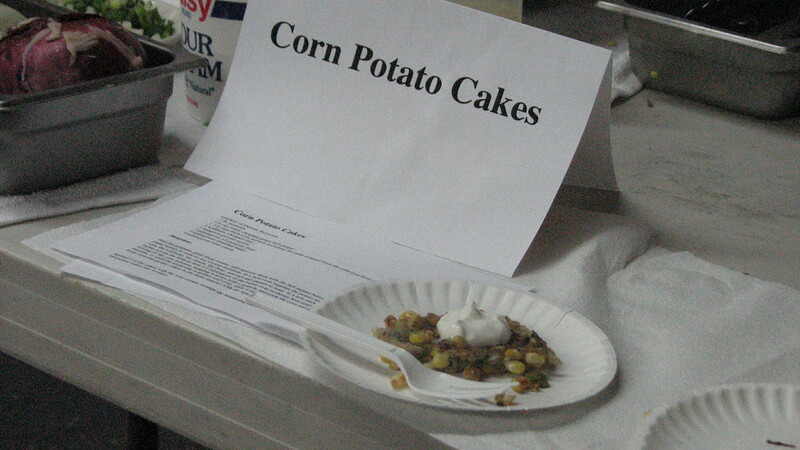 We made mini corn potato cakes at tonight’s cooking demo. 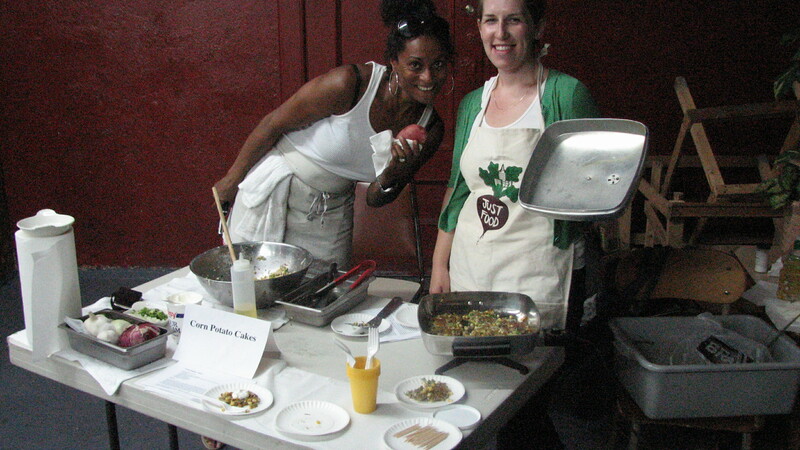 This fantastic recipe comes courtesy of Delissa Reynolds, who assisted with the cooking demo at tonight’s distribution. Peel the potatoes, grate them coarse, and squeeze them with the bell pepper between several thicknesses of paper towels to remove any excess moisture. 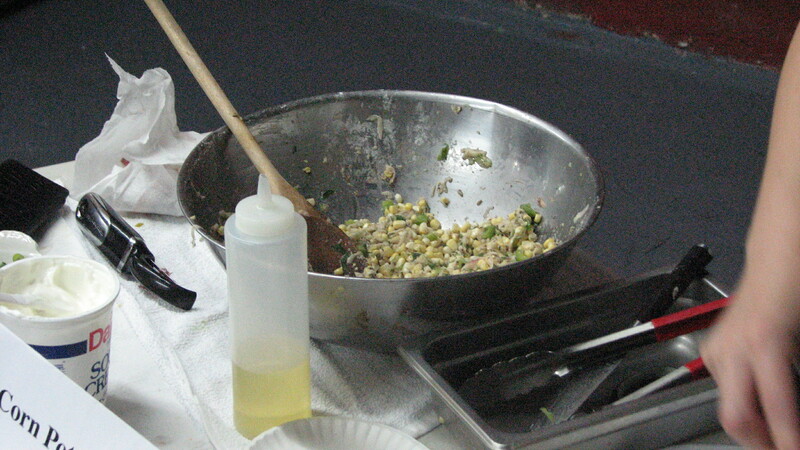 In a bowl toss together the potato and pepper mixture, the corn, the scallions, the cumin, the flour, and salt and pepper to taste. In a non-stick skillet measuring 6 inches across the bottom heat 1/2 tablespoon of the butter over moderate heat until the foam subsides, add 3/4 cup of the corn mixture, tamping it down with a spatula, and cook the corn and potato cake for 6 minutes, or until the underside is golden and crisp, slide it onto a plate, and keep it warm, covered. 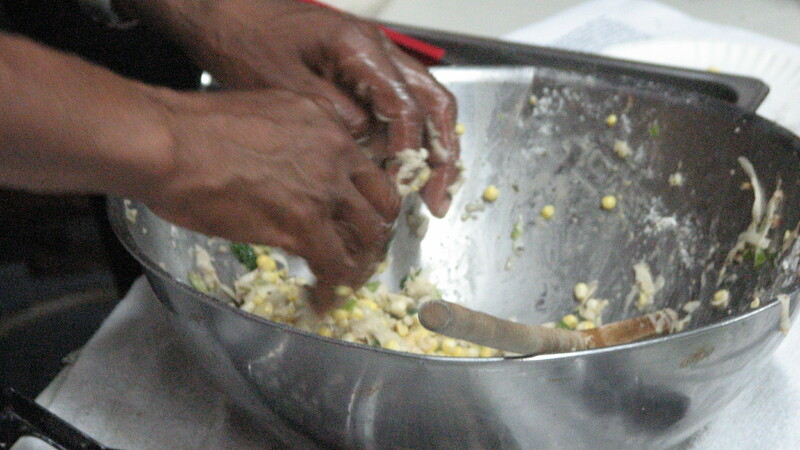 Make 3 more corn and potato cakes in the same manner with the remaining batter and corn mixture. Note: We made mini-cakes at tonight’s demo. 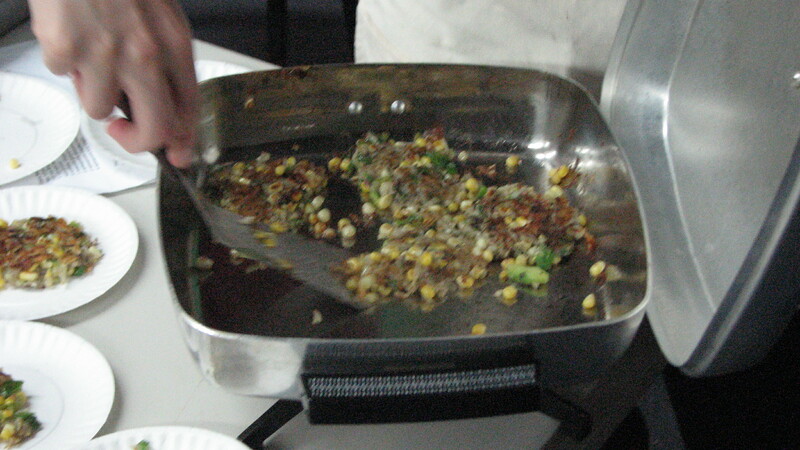 If you choose to do mini-cakes, simply adjust the amount of corn mixture when you add it to your hot skillet. 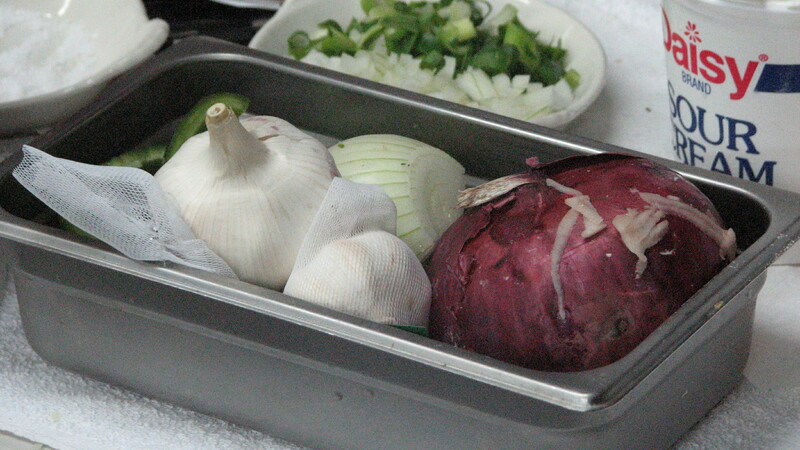 They will cook faster, so check the undersides at about 3 minutes and flip when golden and crisp.